The president rejected the anti-establishment government over concerns it was plotting to force the country out of the single currency. The resulting standoff will likely lead to snap elections. Radical parties will now have to come clean about their plans for the euro. Efforts to form Italy’s first radical government since World War II failed on May 27 after President Sergio Mattarella rejected eurosceptic professor Paolo Savona as prospective economy minister, throwing the country into one of its worst post-war crises. 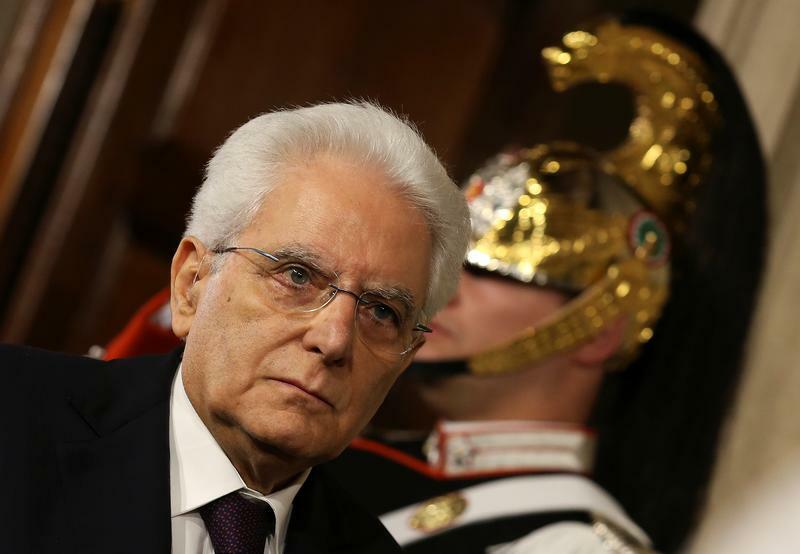 The leaders of the anti-establishment 5-Star Movement and the hard-right League accused Mattarella of abusing his authority and following the orders of foreign powers such as Germany. 5-Star leader Luigi Di Maio said Mattarella should be impeached, while League boss Matteo Salvini called for snap elections. Mattarella is on May 28 expected to meet former International Monetary Fund official Carlo Cottarelli, a respected international figure and Italian budget expert, to ask him to form a new interim government. Italy held a general election on March 4 that yielded no clear winner. The country’s membership of the euro had not featured prominently in the election campaign. The euro was up 0.4 percent against the U.S. dollar at 1.169 by 0815 GMT on May 28. Yields on 10-year Italian government bonds dropped 10 basis points to 2.35 percent in early trade while the closely-watched spread between Italian and German 10-year bond yields tightened by 15 basis points from the close on May 25.